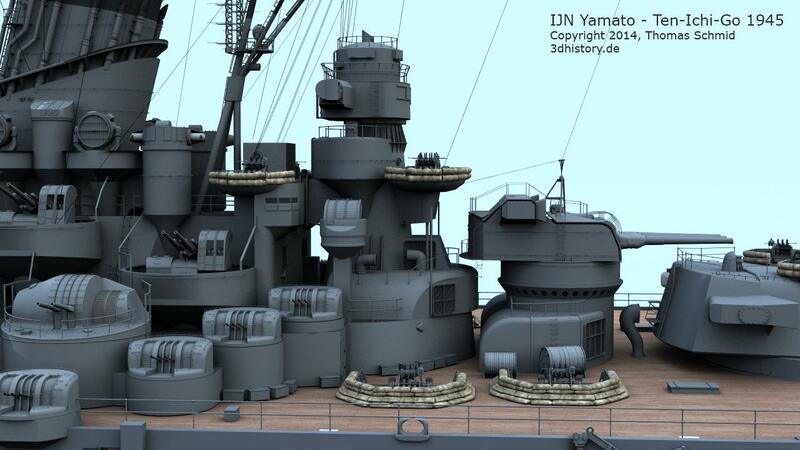 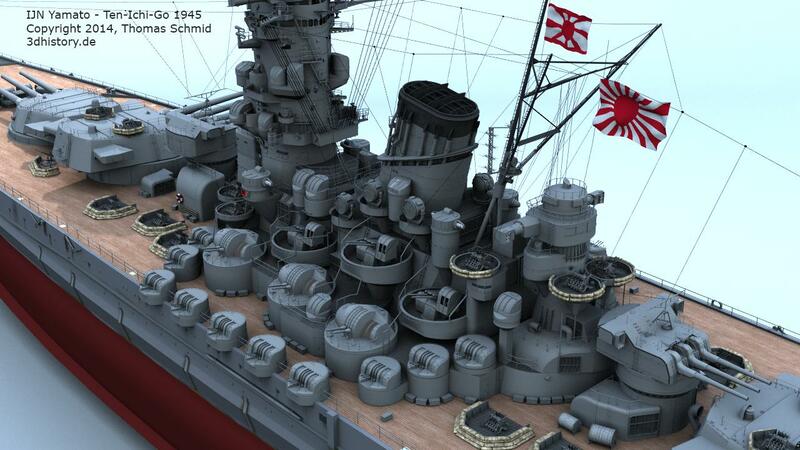 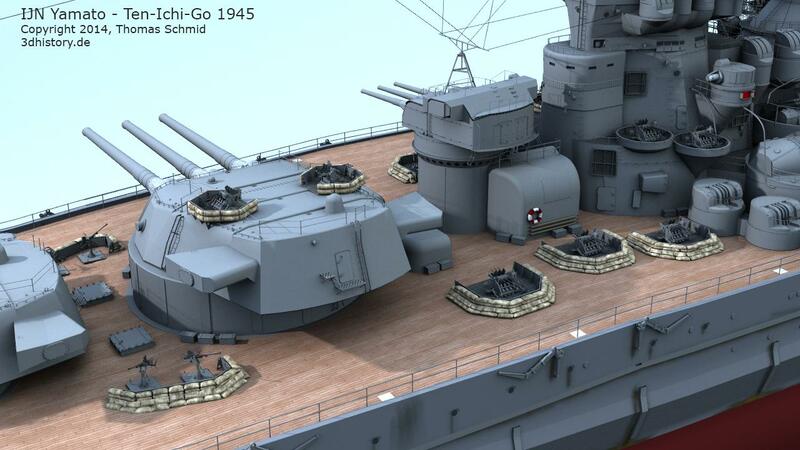 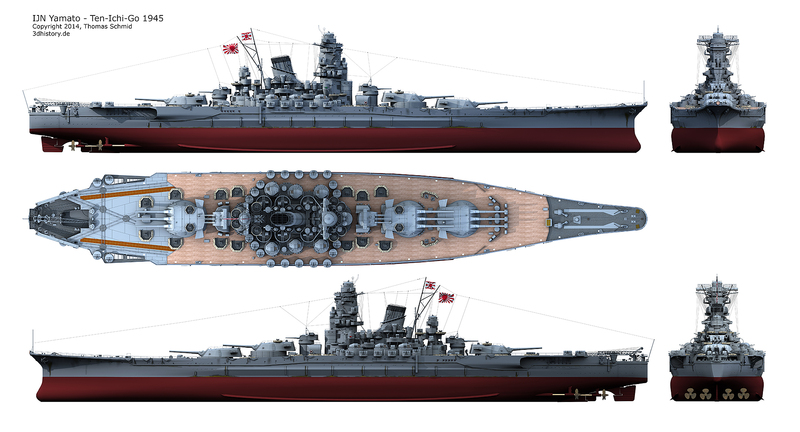 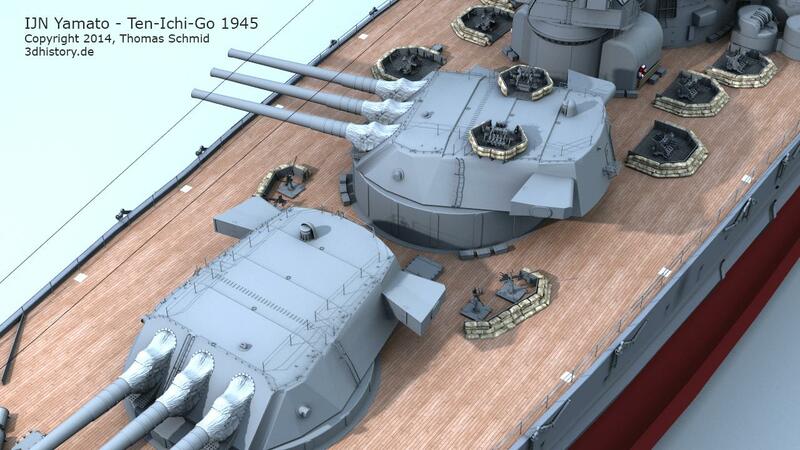 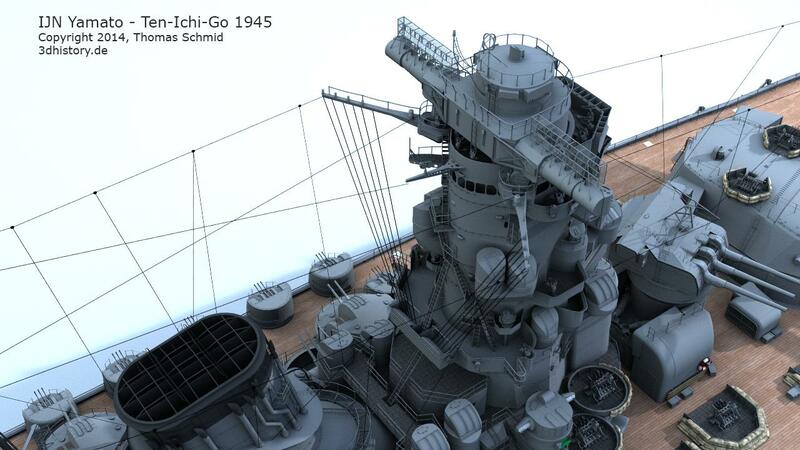 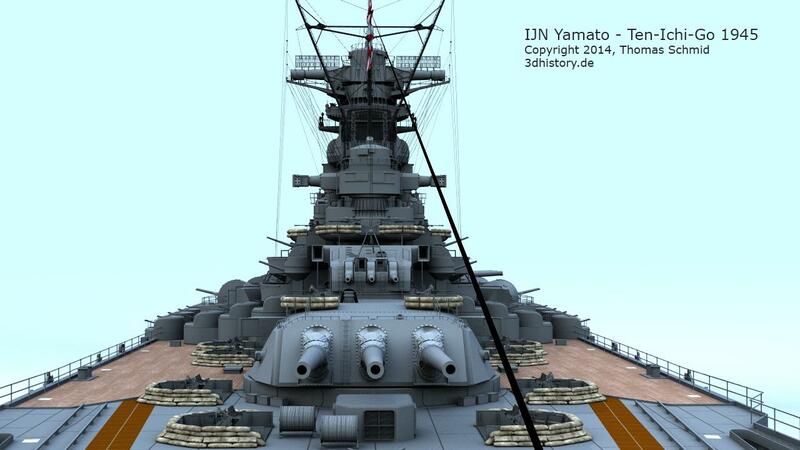 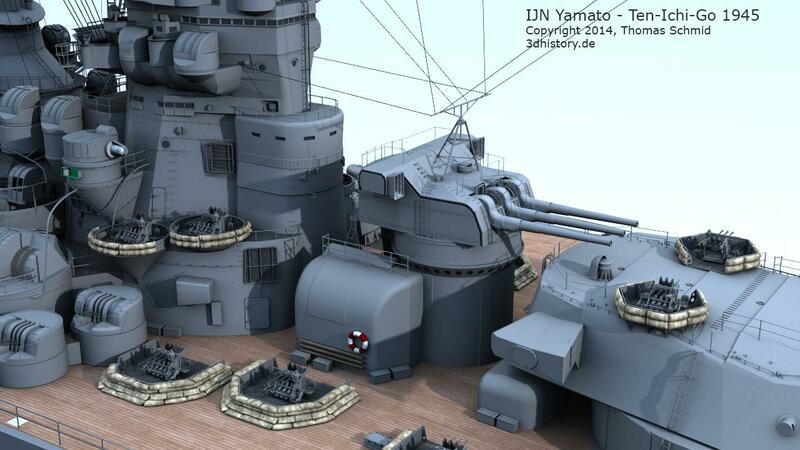 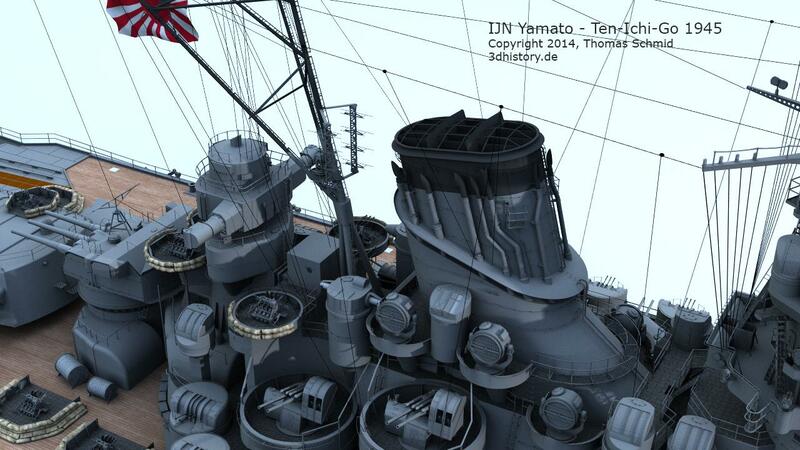 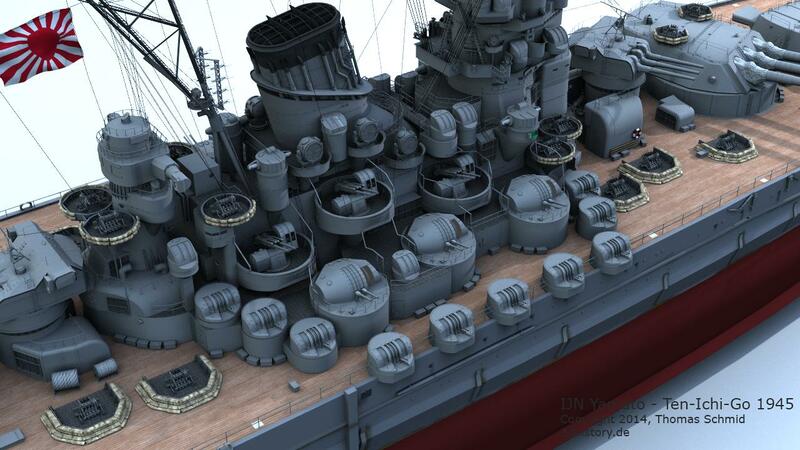 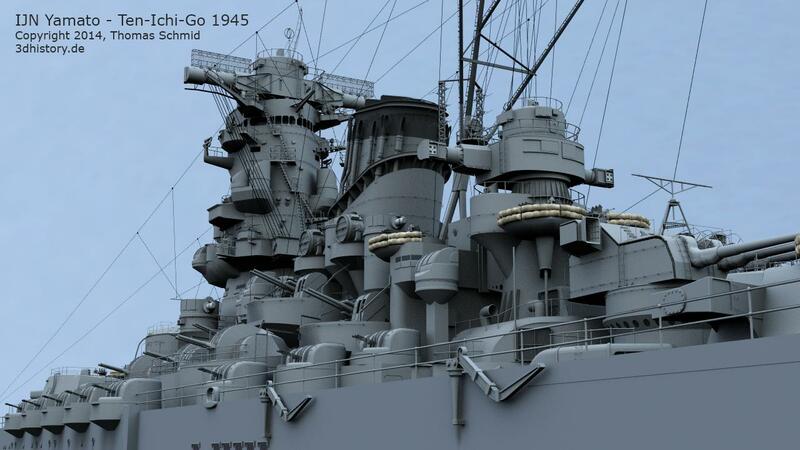 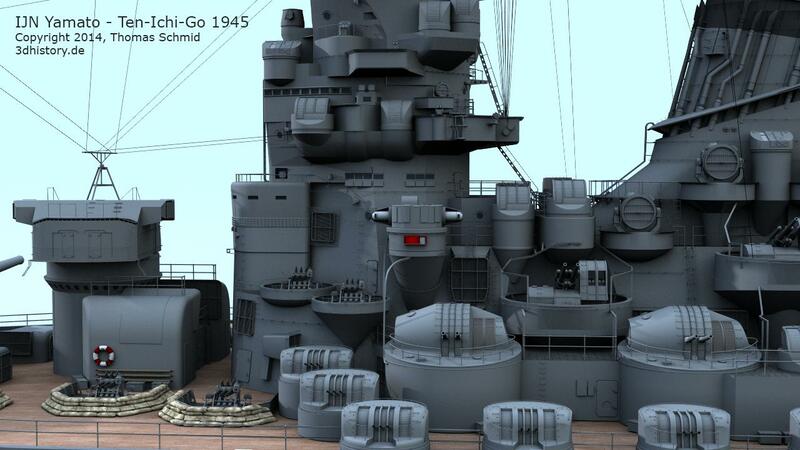 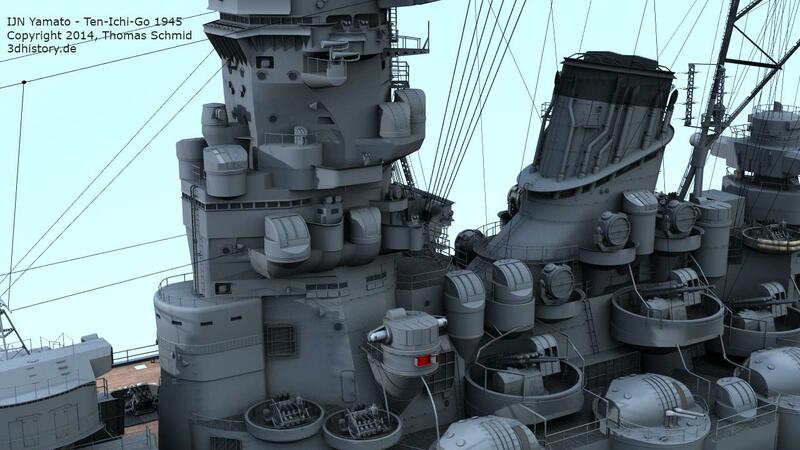 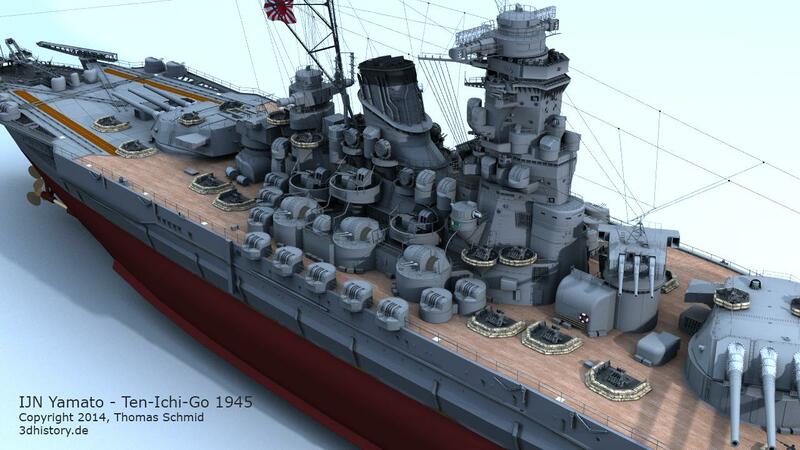 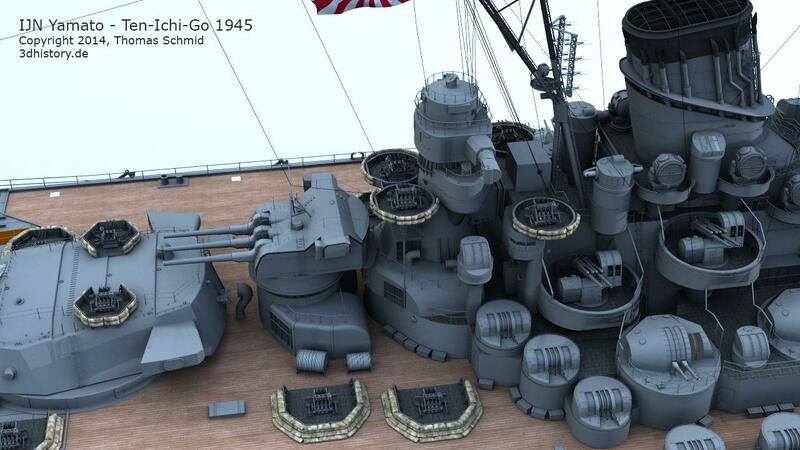 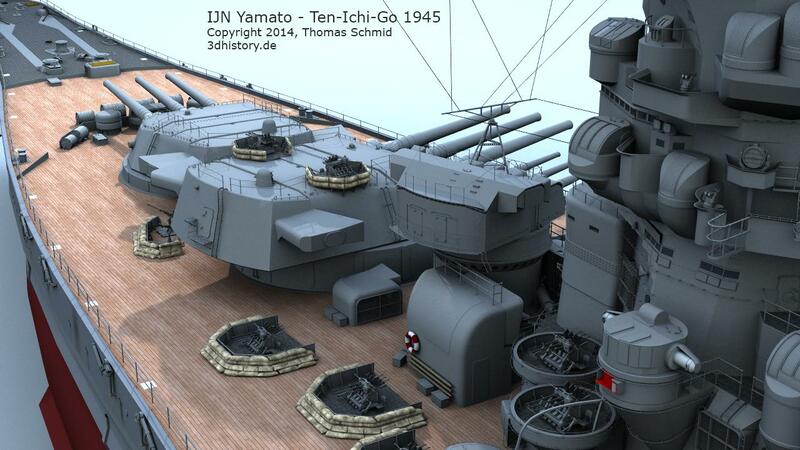 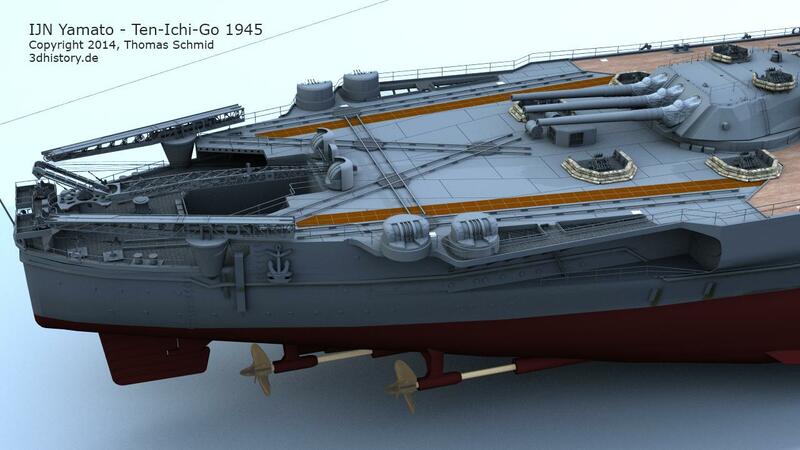 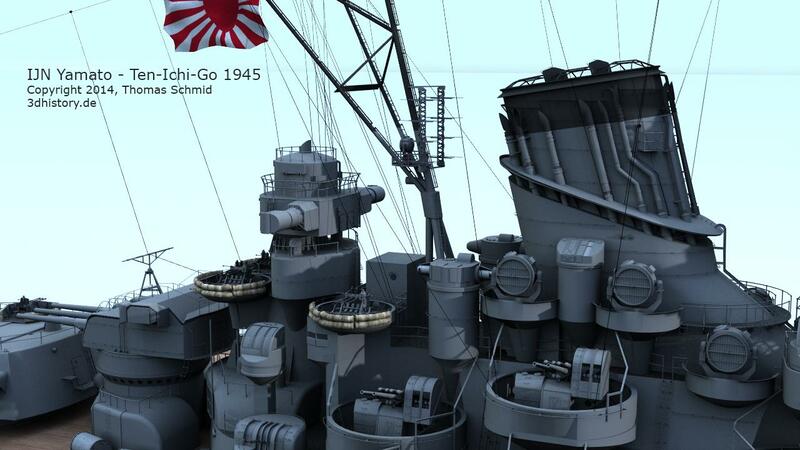 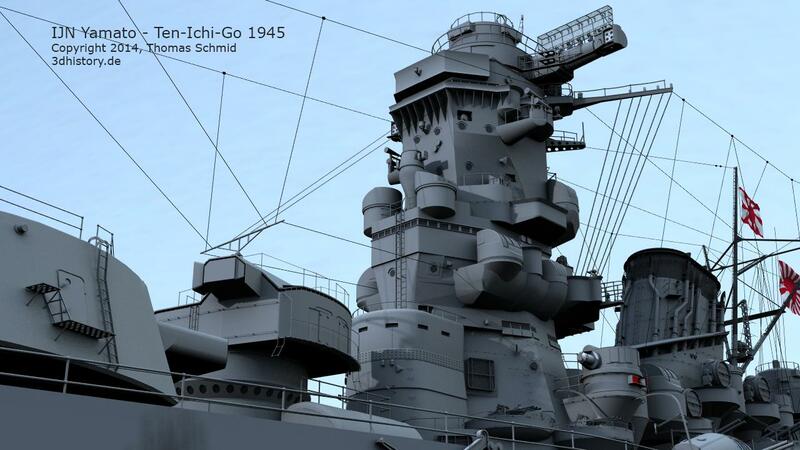 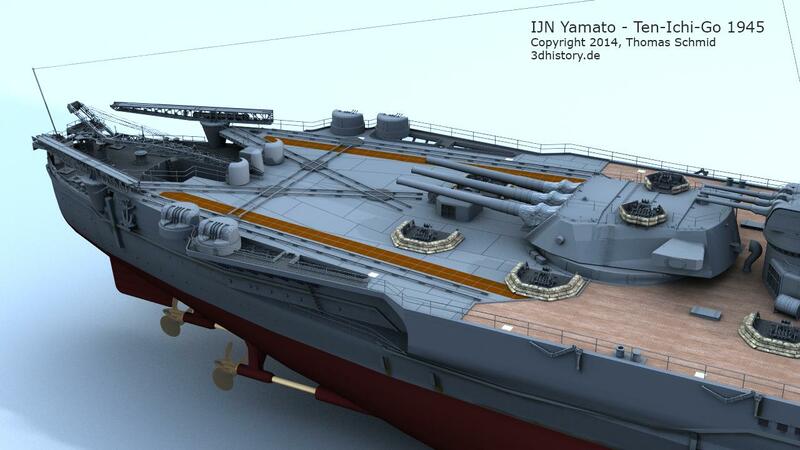 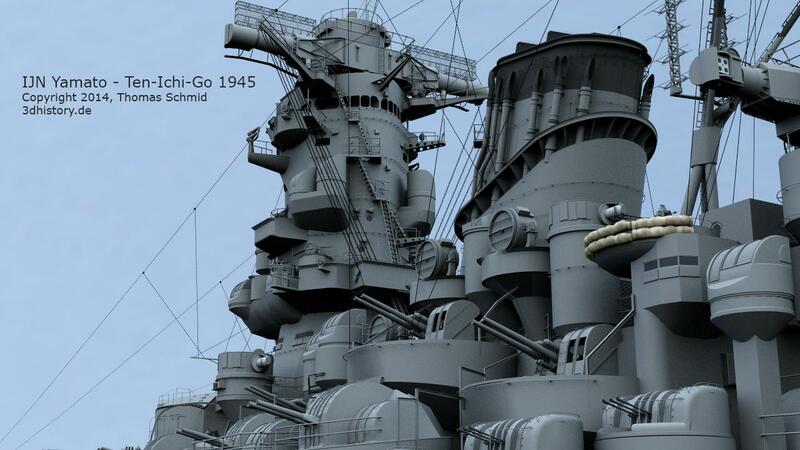 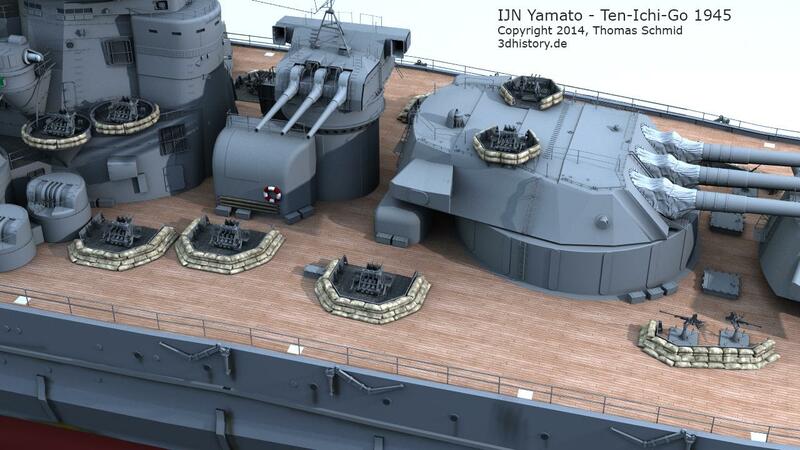 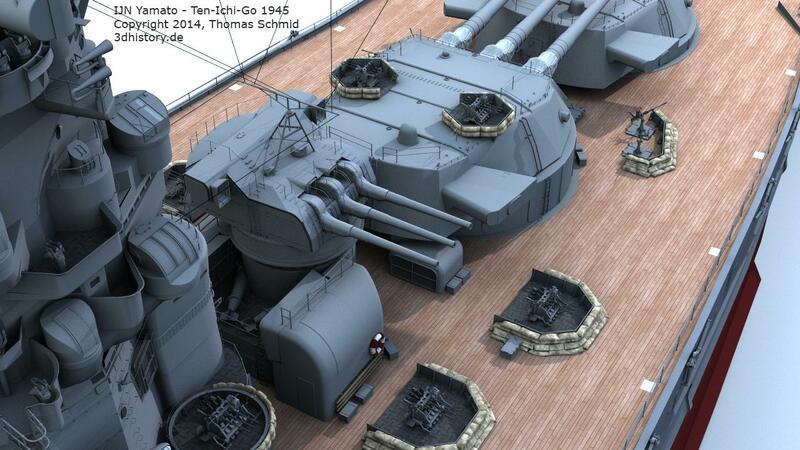 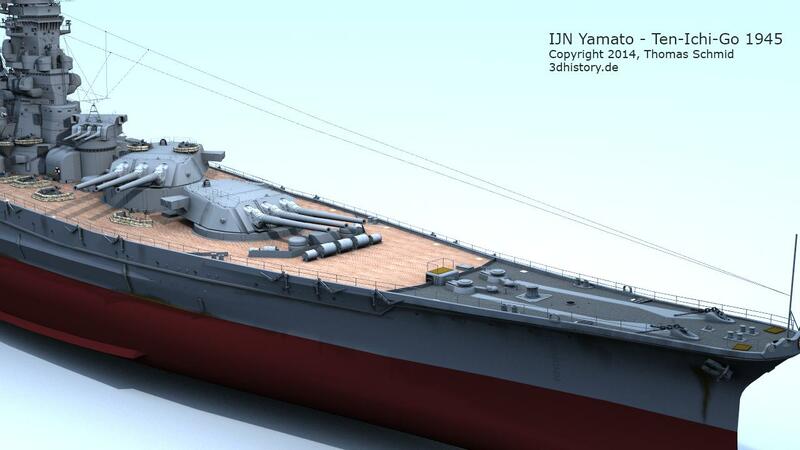 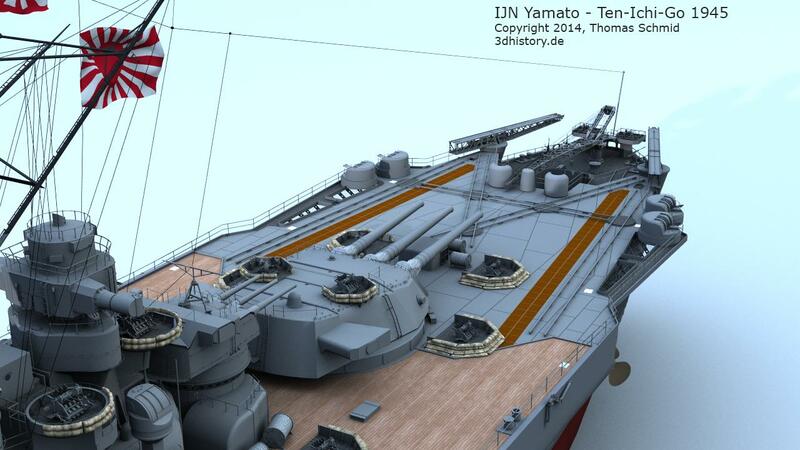 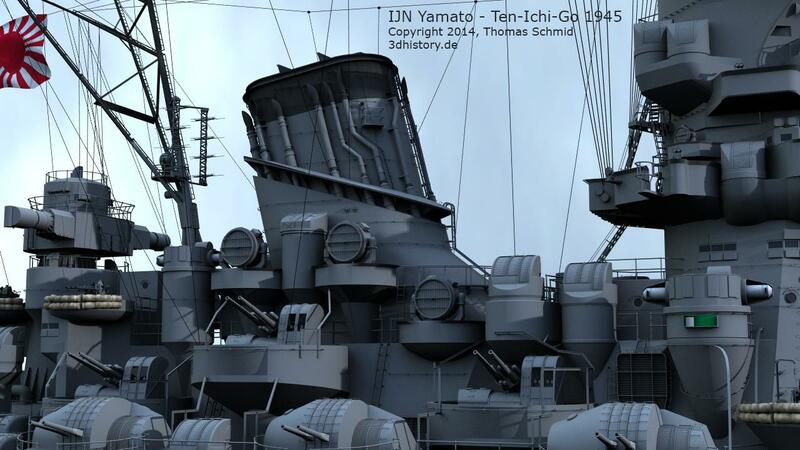 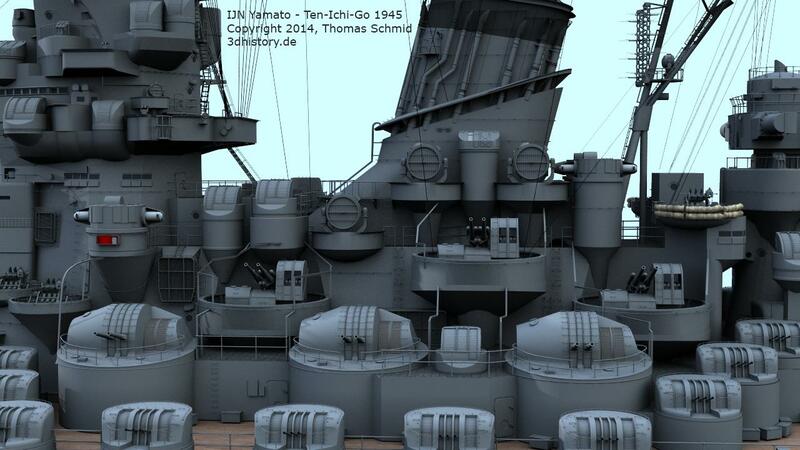 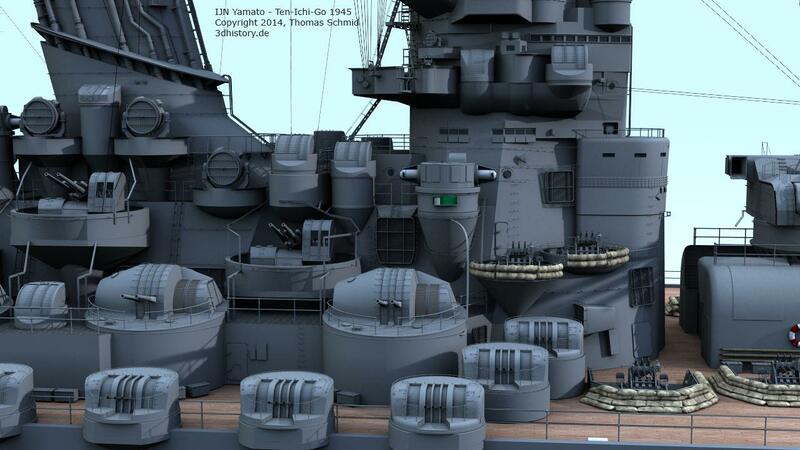 Our latest version of the Battleship Yamato 3D model! 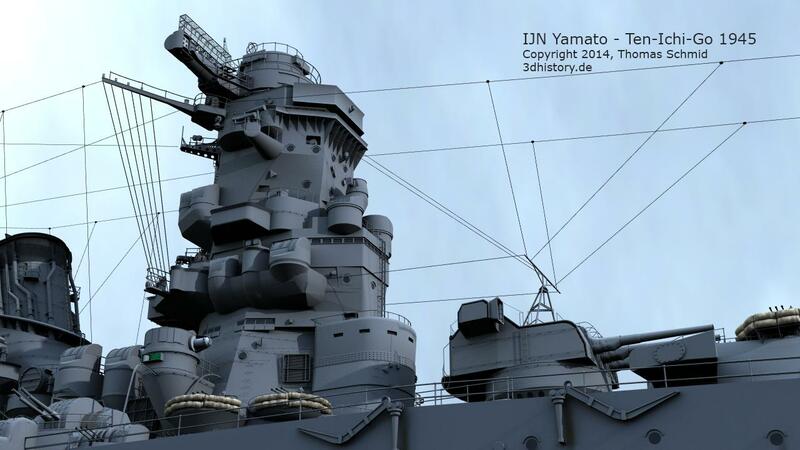 This representation shows the battleship Yamato which is believed to be her last configuration.� During Yamato�s last operation Ten-Ichi-Go two of the� attacking planes carried cameras. 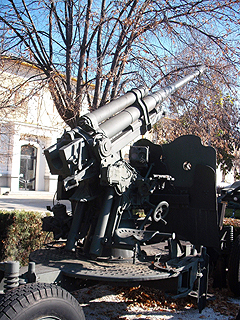 Unfortunately the main camera plane was shot down and only a view pictures shot by the backup plane did survive. 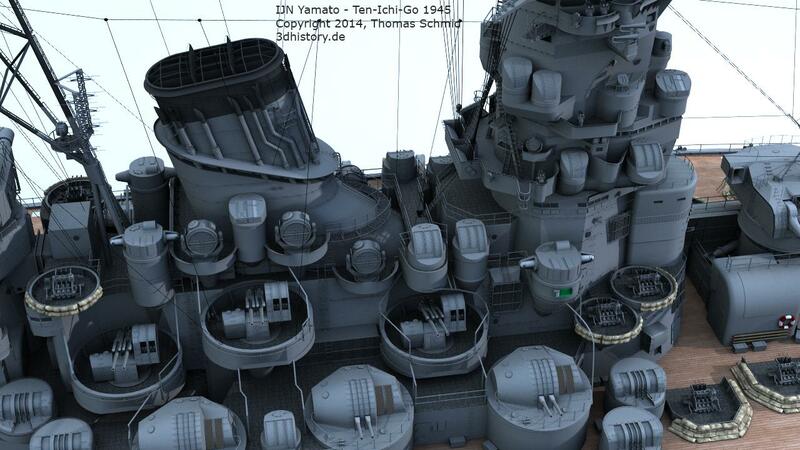 This representation shows her configuration according to the photos of the backup plane. 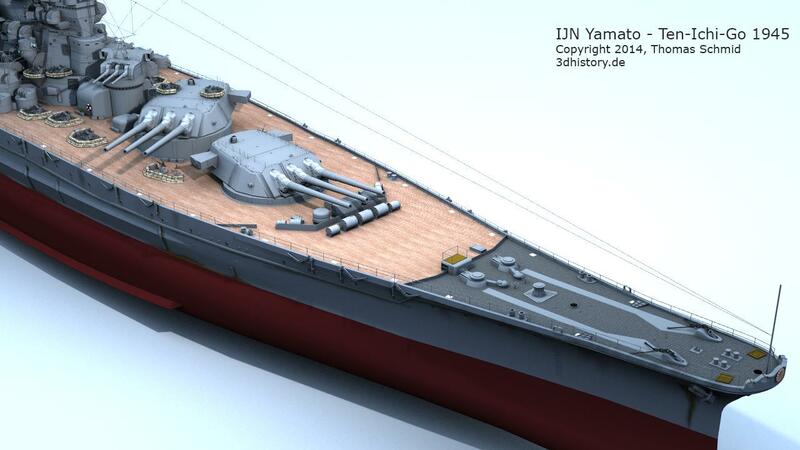 The 3d model is still subjected to be changed! 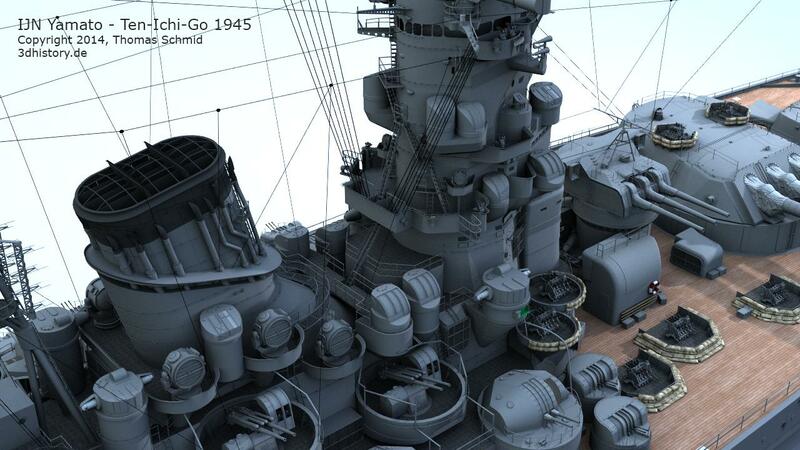 The original high res photos will be posted soon!